Have you ever come across a whichever app or system where pays back for its users? your answer is NO for sure, so this is all about it. MovementApp team is working on developing a mobile application that users can download to iOS devices and Android directly from the application store. Like other applications on the market, Movement App integrates Smart Watch technology and other fitness gadgets, and bracelets to track the physical activity of users. Fitbit, Google Fit, Apple Watch and Apple Health Kit are just a few of which developers have already said that they will support applications. The application itself is not exactly new on the market. But it comes with an interesting approach for crypt enthusiasts, as it integrates the ERC-20 wallet. Users will be able to receive coins and rewards when they go or while running. Commandbegan work on the application at the beginning of the year. They published a technical paper in October and plan to release an alpha version in March 2018. The final product should appear in mobile stores in June next year. The coin behind this ICO is called MOVE and is not in itself a coin for the community. Inside the application, users can win RUN chips if they run long distances. The system of remuneration in the crypto currency is quite complicated. These RUN chips will be multiplied by the number of MOVE chips owned by users. For example, if the user has zero MOVE chips, the multiplier is zero. So if they run a kilometer, they will get 100 RUN coins. If instead the user has a coin MOVE, say, the multiplier is 0.5x. Thus, for the same distance they ran, they will receive 150 RUN coins (attention is just an example, and the numbers are arbitrary). The application looks a bit like a pay-to-win system. The platform distributes these RUN chips, which can eventually be exchanged for MOVE chips. Developers plan to open a store inside the application, where users can buy themselves sports equipment for RUN coins. Virtually the MOVE coin helps them to quickly accumulate RUN chips when they are running and get an easier reward for those store equipments. The maximum number of coins is fixed and automatically issued using a smart etherium contract (publicly available in the GitHub repository). The developers announced that the coin will not be minced. On the Movement App website, the team conducts a more detailed analysis of the currency and talks about short-term expectations. They hope that the exchange rate will begin to rise by 2019 and reach $ 2 per chip, and by 2022 MOVE will cost 18 dollars. where users can buy themselves sports equipment for RUN coins. Virtually the MOVE coin helps them to quickly accumulate RUN chips when they are running and get an easier reward for those store equipments. The maximum number of coins is fixed and automatically issued using a smart etherium contract (publicly available in the GitHub repository). The developers announced that the coin will not be minced. On the Movement App website, the team conducts a more detailed analysis of the currency and talks about short-term expectations. They hope that the exchange rate will begin to rise by 2019 and reach $ 2 per chip, and by 2022 MOVE will cost 18 dollars. where users can buy themselves sports equipment for RUN coins. Virtually the MOVE coin helps them to quickly accumulate RUN chips when they are running and get an easier reward for those store equipments. The maximum number of coins is fixed and automatically issued using a smart etherium contract (publicly available in the GitHub repository). The developers announced that the coin will not be minced. On the Movement App website, the team conducts a more detailed analysis of the currency and talks about short-term expectations. They hope that the exchange rate will begin to rise by 2019 and reach $ 2 per chip, and by 2022 MOVE will cost 18 dollars. The maximum number of coins is fixed and automatically issued using a smart etherium contract (publicly available in the GitHub repository). The developers announced that the coin will not be minced. On the Movement App website, the team conducts a more detailed analysis of the currency and talks about short-term expectations. They hope that the exchange rate will begin to rise by 2019 and reach $ 2 per chip, and by 2022 MOVE will cost 18 dollars. The maximum number of coins is fixed and automatically issued using a smart etherium contract (publicly available in the GitHub repository). The developers announced that the coin will not be minced. On the Movement App website, the team conducts a more detailed analysis of the currency and talks about short-term expectations. They hope that the exchange rate will begin to rise by 2019 and reach $ 2 per chip, and by 2022 MOVE will cost 18 dollars. Pre-financing application Movement beginsDecember 15 and ends on December 25. The goal is to sell at least 240,000 MOVE coins and a maximum of 3,072,000. Developers take investments in etherium, lightcoin and bitcoin. The prices for the pre-financing phase are: Stage 1: 1ETH = 1200 MOVE (240,000 MOVE) Stage 2: 1ETH = 1080 MOVE (360,000 MOVE) Step 3: 1ETH = 960 MOVE (960,000 MOVE) Step 4: 1ETH = 840 MOVE (1,512,000 MOVE) The initial sale of crypto currency (ICO) starts in February next year, when it is hoped that 10,000,000 coins will be donated. A package of 600 chips will then be sold for 1 Etherium. Within three weeks, ISS offers bonuses to those who invest quickly – in the first week the coupon yield is 20%, and the second 10% and the third 5%. Coins not sold in the presale and ICO will be burned. Of the collected funds, the team plans to use 55% for platform development, 35% for marketing, 5% for legislative consultations, 3% for other operations and 2% for security. 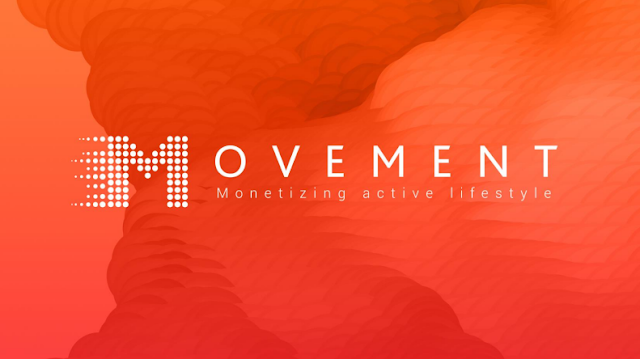 The Movement App team is from California and consists of five people: the founder of Martin Hold, co-founder and technical director Robert Hawkins (who worked on Intel, Pandora and Movement Feed projects), engineer James Latham (Buzz Feed, Amazon, developer Uber and Facebook) and community administrator Rose Harris.